More on the RTA Large 3-Shelf Silver and Glass TV Stand for 36-60 inch Screens TVM-060 below. 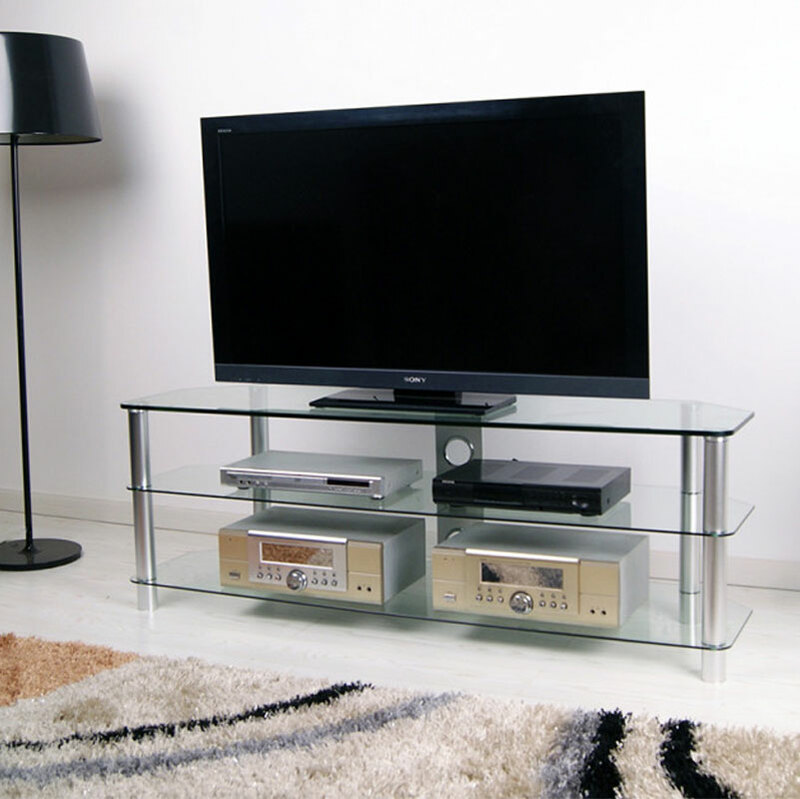 Thick tempered glass shelves (Top shelf: 12mm, Bottom and Middle: 6mm). An open-shelf design, allowing passive air-flow to heat-generating electronics. Integrated cable management to keep all necessary cables tucked neatly and safely out of sight.